We are a unique and innovative tracking solution for real life. 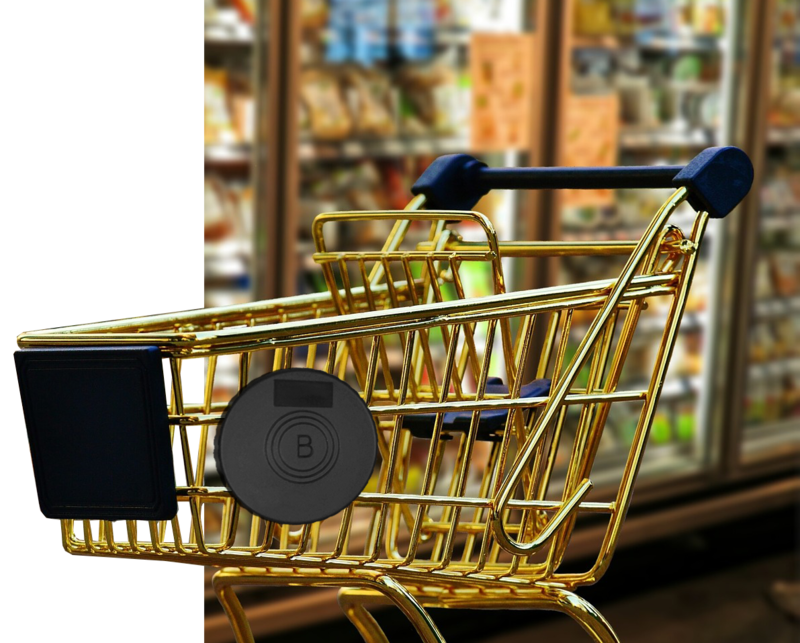 We digitize people’s movements inside brick and mortar stores by tagging their shopping carts. We know where they are in real time. We know how much time they spend in important locations. We remarket to them after leaving the store. * We pronounce it “Beaconer”. 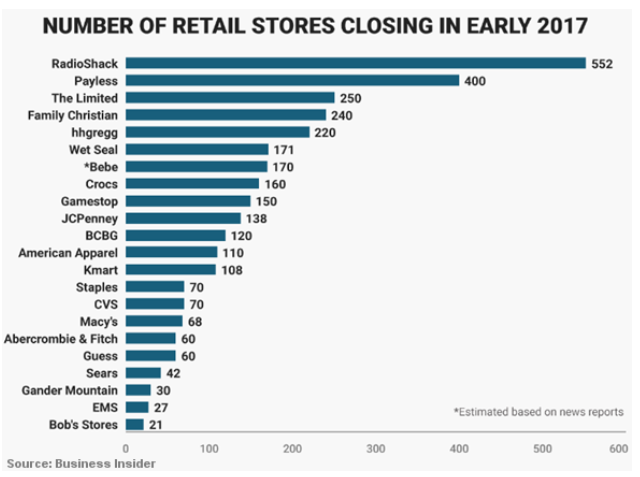 Thousands of stores and shops are closed every year in the US. The “retail bubble” is bursting. Customers are flocking to Amazon and online shops because of price and convenience. Brick and mortar stores need to rethink their approach to retaining customers, remarketing to them and providing them with modern shopping tools. People browse and compare products in store and purchase online and most stores don’t do anything about it. 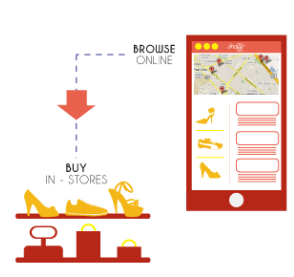 Stores can retarget the customers with relevant information even after they leave the store. They can show more information on the product to the customers by placing QR codes on the shelf that the APP can show more details, reviews, etc. The APP can also show the price guarantee, competition prices, additional services, add to wishlist, price alerts and add a new dimension to shopping experience. don’t want to search for products, don’t want to wait in line and would like a simpler, faster experience. The APP can navigate the user to their wishlist items, can act as a search engine for your store and can even allow them to get help from a real person. A helpful infrastructure will make a difference when customers will choose their preferred store. The Future is in Analytics! Stores need to make hard decisions to stay in business and they need real time, actionable information to make the best ones. Tracking customers, employees and assets in real time and over time helps all departments make informed decisions. Allow you to dispatch support personnel, call cashiers, get alerted of issues, see a store’s real time heatmap. Allows you to track personnel, carts, motorized sweepers, forklifts, door activity in real time and over time. Since a computer is already installed at the shelf, a weight sensor or light sensor can gauge real stock information. Add a networked interactive screen to the shelf units with ease. Target customers passing by. Allows you to track people by tracking their carts or baskets, remarket to them, help them make a decision and optimize their experience. Link electronic price tags to the shelf units with ease. All shelfs or important shelves have tracking modules, that read the beacons proximity. The shelf units are also used as beacons for phone apps offering the app advantages as well. 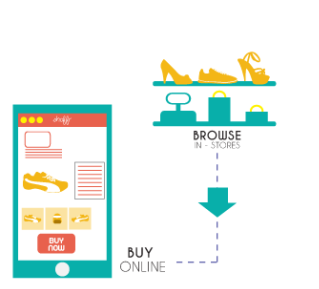 Cart proximity and content are matched with their loyalty cart. If they spent a significant time in an important location they are flagged and contacted with discounts, promotions and information. In store marketing partners can now get real metrics on their events and even re-market to the interested identified customers. Honeypots can be installed in non-traditional locations and additional services attached to them. To reach the full potential our APP will wrap around your mobile site and allow your visitors navigate, get discounts and provide them will a full experience. Copyright© 2019 BKNR.EU All Rights Reserved.